Since social media is now commonplace, especially when it comes to travel, hotels are burdened with the additional responsibility of standing out among the noise. While having a strong, consistent social media presence is essential, hotels can take their guests’ experience to the next level by injecting social into the overall culture of the property. Of course, this is easier said than done as it would involve a complete overhaul of the operational structure. However, if done well and incorporated throughout various phases of the booking and staying cycle, a hotel can cultivate a truly authentic experience for its tech-savvy guests. Facilitate engagement above what is expected. This would involve deep integration of social content and special offers, along with listening and responding to those mentioning the hotel, the destination, area hotels, etc. Rewarding social sharing and hosting contests to facilitate buzz-building is also essential. 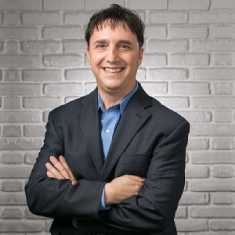 Integrate social media into the booking process. For example, allow users to initiate reservations via Facebook, Twitter, or Google+. Create packages or special offers that live solely on social networks. When it comes to booking itself, request users’ social media handles so that staff can research and/or interact with guests before they visit. Also, on their confirmation emails, include details about the property’s social media channels as well as Twitter concierge options. Before the guest arrives, a team member should research a users’ background based on the information those individuals have publicly available on their social networks. An email followup should also be sent prior to arrival that re-iterates social opportunities while on-site. This is a good time to leverage partnerships as well – perhaps Uber can offer a guest a ride from the airport if they post about their stay prior to arrival, or an alcohol partner can provide the traveler with their favorite cocktail upon arrival. During the stay, WiFi is a no-brainer. If your goal is to attract the socially-active traveler, they have to have the resources to seamlessly post (and, naturally, if they can’t, they’ll probably complain about it, too). Complimentary, high-speed internet is imperative. The WiFi landing page is also pristine real estate to host details about incentives for social sharing; Twitter guest service opportunities; and more. Create on-property experiences. If you develop specific, socially-geared components into the hotel, it makes it easier for users to have excuses and opportunities to take advantage of them. 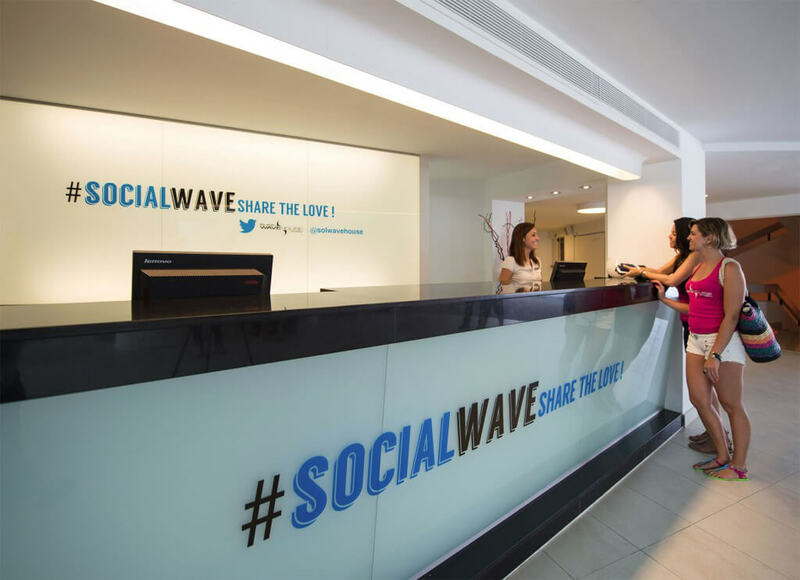 For example, the Sol Wave House in Spain coined themselves a “Twitter-themed hotel” by engraining Twitter into their overall operations. The main engine of the whole experience is a virtual community called #SocialWave, only available from the hotel’s WiFi. Two Twitter Concierges are devoted exclusively to meet guest requests via Twitter and generate conversation in this virtual community. Guests can know and chat with each other, experience, flirt, compete in contests, share photos, etc. Every corner of the hotel is designed to engage a new conversation. Similarly, 1888 Hotel in Australia took the title of the “first Instagram hotel” when they incorporated Instagram photos into the fabric of the property. As guests enter the hotel lobby, a revolving digital mural of Instagram images greets them. After checking in, guests are invited to stand in front of an open frame hanging in the lobby and snap a selfie. The hotel’s guestrooms are also decorated with Instagram photos from over 100 Instagram photos submitted by guests. To keep guests intrigued post-stay, send an email with personal anecdotes from their stay and the photos, posts, and comments they distributed via social media during it. Everyone expects the generic “thank you for staying with us” email at this point, but a personalized message that speaks directly to the traveler can speak volumes about how they’re going to talk about their stay (both on and offline) afterward. Maybe provide a special “return guest” rate for their next visit, too. Finally, encourage loyalty. If your property offers points for visiting, allow the social-savvy visitor leverage and flexibility when it comes to their points and how they’re used. Maybe they can earn more points online post stay by keeping in touch with the hotel regularly via social media. Maybe they can share their points with friends or redeem them for a greater variety of on-site amenities. These details to help customize a future experience will help ensure this traveler chooses you again when re-visiting your destination. What are some properties you’ve seen create out-of-the-box social experience for their guests? What’s neat is that the Bed & Breakfast industry has fast-forwarded past it’s stogy roots and most now offer a unique, personalized and high-tech experience. I’ve experienced great B&B’s like the Phineas Swann in Montgomery Center, Vermont, the Sinclair House in the central part of that state, the Berry Springs Lodge in Gatlinburg, Tenn. All give guests unique engagements, wifi, treats, snacks and breakfast all at no additional cost, and a personal touch that hotels just can’t do. These all apply to higher end boutique and business hotels, those guests paying a premium, the rack rate or the ‘special offer’ the hotel has. Not that these ideas aren’t great, they are – it’s that they’re not for every property. For example: Where I choose to stay is based on a variety of factors, namely that magic spot where value/price overlaps w/ quality .. usually found via a Priceline bid. These are often larger big brand hotels and they’re not gonna look into me when I book – there’s no reason to. I’m not paying full price, I’m there for a clean, safe room and nothing else. I’ve been wanting to move into travel and tourism a while now and part of me knows that every hotel is ‘social’ whether they like it or not. I know that b/c I’m one of the most active TripAdvisors out there; I stay, I say. So all hotels need to think more about their experiences, how guests are ‘social.’ And FWIW, yes to WiFi always! Thank you for your insightful comment, Davina! You’re absolutely right – the intricacies of actually putting most of these into practice would be difficult for most properties, and many travelers may not be interested in such options anyway. I just wanted to share some ideas for properties that may be considering integrating social media into the overall hotel experience (I am working with one currently that is, which is what inspired this topic/post) and/or are specifically targeting millennial guests. You bring up some great points – every hotel is indeed now social where they choose to be or not. It’s interesting to watch the travel industry evolve with the times!